Labour MPs are increasingly hopeful that Jeremy Corbyn will shift the party’s position on the single market and customs union after new polling showed a majority of current and potential supporters would back a change in policy. Prominent former shadow cabinet ministers highlighted support for permanent membership of the two trading blocs – and told LabourList they were picking up increasing support from unions. Backbenchers spoke out after an Opinium survey for The Observer showed 56 per cent of all potential Labour voters at the next election want the party to back permanent membership of the single market and customs union while just 13 per cent opposed the move and 30 per cent had no firm view either way. Yesterday John McDonnell, the shadow chancellor, told The Andrew Marr Show insisted that Labour would pursue the benefits of the frictionless trade with EU nations. “It would not be the same single market but would be access to the single market”. His interview prompted criticism from Ian Murray, who described it as “utter disingenuous claptrap”. “The EU has made it clear that you can’t be in a single market with “all the same benefits” without participating in ‘the’ single market. If you want all the same benefits you have to be in it,” the former shadow Scotland secretary wrote on Twitter. McDonnell and Corbyn have taken the harder stance because of their desire to show “respect” for the outcome of the referendum. 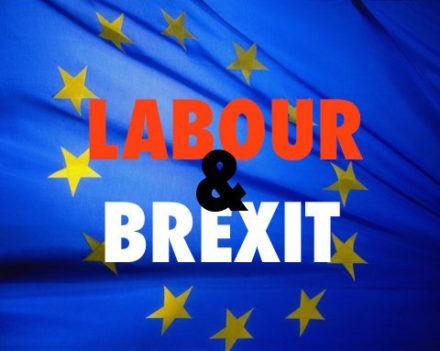 The two allies have argued that Labour is at risk of losing votes across Leave-supporting seats in northern England if it is seen to back a policy that could be characterised as staying in the EU in all but name. Labour rebels believe the support of trade unions will help them to shift the position of the leadership.